Earth Day was first celebrated in 1970. It is celebrated worldwide annually on April 22nd with events to demonstrate support for environmental protection. 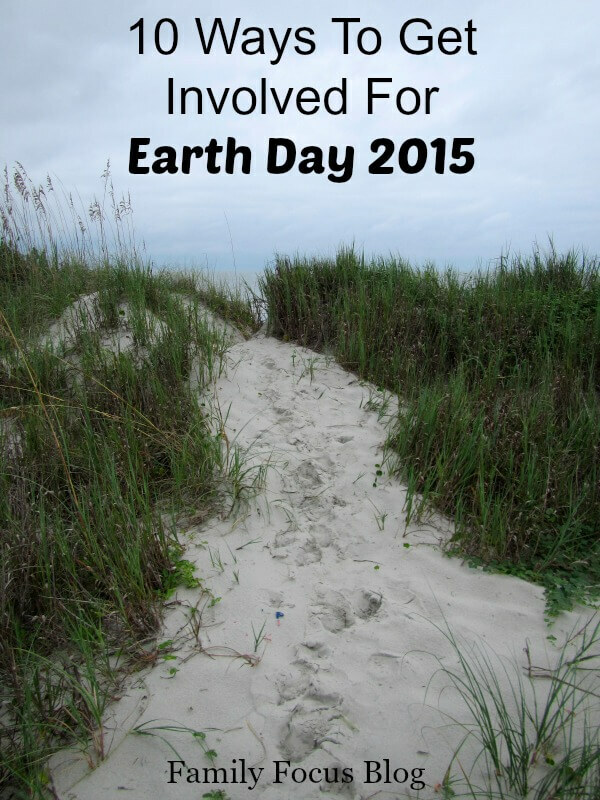 There are lots of ways to get involved for Earth Day 2015. Here are 10 ideas to get you started. Earth Day is all about raising awareness of environmental issues and doing something to support our environment. From small activities such as Earth Day crafts and games to joining Earth Day events to signing petitions, each action counts so get involved this Earth Day- April 22, 2015. What are you doing on Earth Day? Register your Earth Day event or search for Earth Day events in your area at arthday.org/greencities/events/. Almost 1,000 events have been registered from gardening events to upcycling events to trash cleanup events and more. If you haven’t done it yet, change to LED Light Bulbs for Earth Day. Really, they are just so much more efficient- 85% more efficient! This information graphic that ACE Hardware sent me illustrates the point well. You can download a free Climate Education Toolkit for K-12 students at earthday.org. The Toolkit includes a week’s worth of lesson plans, activities, and contests. Each day covers a different theme related to climate change with two activities handpicked by Earth Day Network for your use. Your kids may also enjoy Nature Bingo Cards as an Earth Day game. With Schoola.com, parents can donate gently used clothing and Schoola sells the items online with money going right back to the schools from where the items were collected. Part of going green is to buy from responsible and sustainable brands. Look for organic products, Fair Trade products, and eco-conscious brands that give a portion of profits back to caring for the earth. Hopefully, you already recycle. Try upcycling too for fun creative ways to reuse what would otherwise become trash. Eating meat, especially beef, takes a heavy carbon toll. Try going meat free for Earth Day! Try to adopt new green habits that you can use everyday. Be on the lookout for eco tipsand make small consistent changes- like eliminating the use of plastic bags and bottles, using less energy in your home, and conserving water. I hope you enjoy these ways to get involved this Earth Day. What will you be doing for Earth Day 2015?